We are happy to report to you; our donors, that we are only weeks away from opening the doors to our new mosque. The rebuilding of our mosque is made possible by the generosity of over 24,000 donors from 91 countries . We're tremendously humbled and overwhelmed by the emotional and financial support you have given and continue to give us throughout this calamity. On another note, I want to inform you all that the trial for the person who set our mosque on fire concluded early this week and the jury found him to be guilty of all charges. Sentencing is set for October 2nd. The person who set fire to our Mosque on fire has been sentenced to 24.5 years in prison. 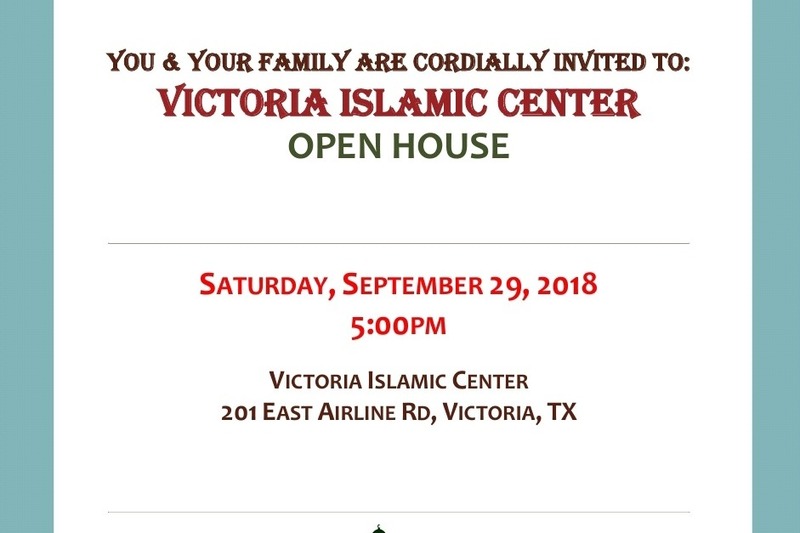 Here's the link about the open house and tour of the new mosque of the Victoria Islamic Center. A big thank you to all of our donors who made this reconstruction possible. Our heartfelt gratitude to each and everyone of you. 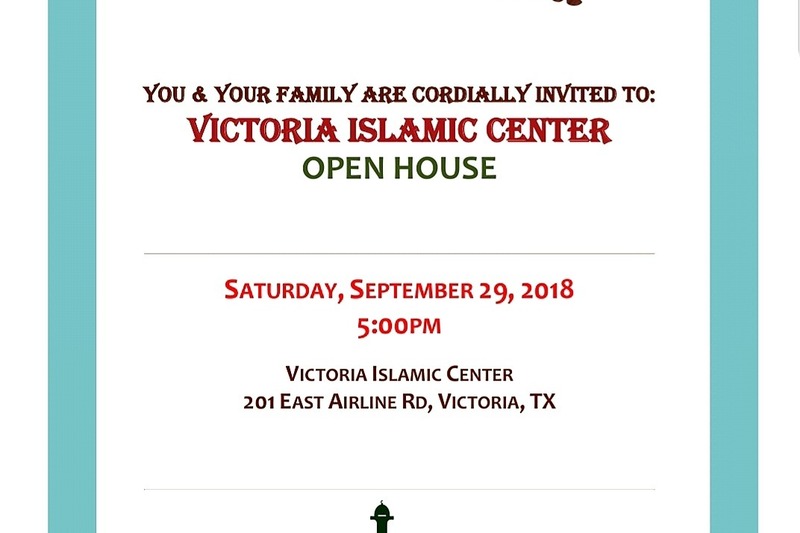 We at the Victoria Islamic Center are delighted to invite everyone; near or far, to join us for the opening of our new Mosque. We are excited and looking forward to seeing you next week. I plan on donating money, but I'd also be happy to donate time and effort as well. I have some carpentry skills and equipment, and I would be happy to see what groups could be put together to help rebuild from Austin and surrounding counties. I know you will probably be hiring a company to rebuild and repair, but feel free to contact me via facebook private message if anything else is needed. I'm an atheist and I am deeply saddened and disgusted by what was done to you. Religious freedom and freedom from persecution are fundamental rights! I have a group of friends in Michigan and Indiana that are going to try and crochet new prayer mats. Please message me if anyone is interested in helping out! Salam. I can't donate much money, but I'd like to donate hands and time. Is there any plan in place for the community to help? We are so sorry about your mosque. We will stand up for our fellow Americans who simply want to live and worship as they please. This is the primary promise of our country. I am sorry you have to rebuild and that our current cultural dialogue empowers hateful people to do violent things. I will be donating on the 3rd when we get paid. We are Atheists but we are also deeply heartbroken about such an ignorant and hateful act. We stand with you in solidarity. Every American should be free to worship peacefully and safely no matter to whom. I might suggest going to your local Home Depot and inquiring about grants they have. I am a former store manager for them and trust me, they donate millions every year. I am a Muslim American, it feels like my religion and now my country have been hijacked by a small minority of hate and fear mongers. No nation becomes "Great" through injustice, fear or intolerance. 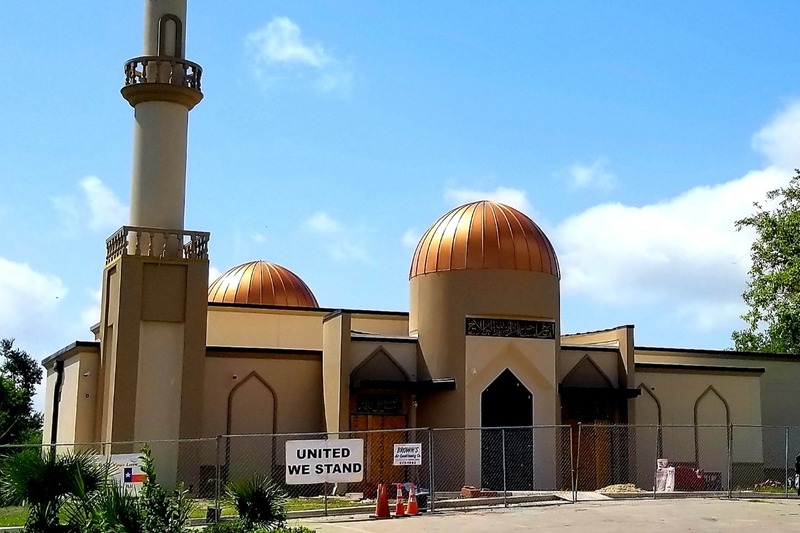 I am deeply proud with the support from the fellow Americans not just for the mosque, but to see that the silent majority as to we are United States of America and not Divided States of America. Unity, self respect, and standing up to the fear and ignorance will make this nation more "Great". I was moved by the support from common person and by religious leaders and everyone in between. Reminds me of the time when I was manning the phones for fund raising for the September 11th victims right after that attack and someone recognized my accent and started crying with joy. We stand united as a Nation under God and fight for each of our fellow American's rights as promised by our constitution. Ameen. God bless the "U"SA. I don't have much money a the moment but I will be returning to NM this week and can offer my carpentry skills as well, to help with rebuilding efforts. I am so very sorry that your community was targeted by extremists. This country is supposed to be better than this, and I hope that the day will soon come that we can all worship safely in every town and city in the US. Please know that most Americans find this violence and bigotry to be unacceptable and completely against our values as a nation. Peace be with you. To the few ignorant people suggesting the mosque members burnt down their own place of worship: you obviously know nothing about this fine group of people. I don't know many of them personally, but I do know most of them are upstanding and active members of the community. Several are physicians who have served the people of Victoria for many years, and have SAVED more American lives than you ever will. I gladly donate money to help rebuild the Islamic Center of Victoria. The criminals who have terrorized the Muslim community of Victoria, Texas must be found and prosecuted. This act of hate does not represent what I or many other Americans believe and support. We stand behind your right to assemble peacefully and worship as you choose. My check is on the way to you. 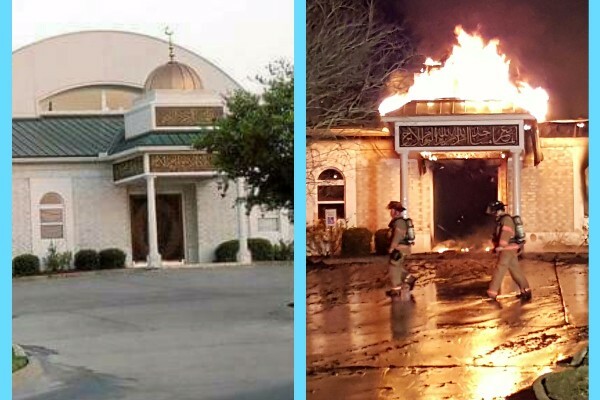 My family and I are so sorry this has happened to your Mosque; this is both tragic and shameful (if someone set the fire). It is senseless and we send prayers and best wishes for you all. This so saddens me. I am so sorry the mosque was burned. This is not what our country is about. Prayers and thoughts are with all of your congregates. Hey, I tried to leave a donation but there is some issue with the campaign? Please log in and fix it...I'll be back. Because I will stand next to you any time, and right now...I will be pro-active about it. For those that would prefer to send a check you can make it out to Victoria Islamic Center at PO Box 3824 Victoria 77903! !